The NCAA has released their second round of RPI rankings for the 2016-2017 season, which will continue to be released until the end of the regular season. Unlike the coaches’ poll, which has a top 3 of Long Beach St., Ohio St., and BYU, the RPI’s top 3 are the exact opposite. BYU rose to the top of the rankings after sitting idle last week following their emotional weekend against LBSU. They jumped Ohio State, who lost to Penn State early in the week. Other than that, there are only small deviations between the two rankings – one subjective and one more objective. 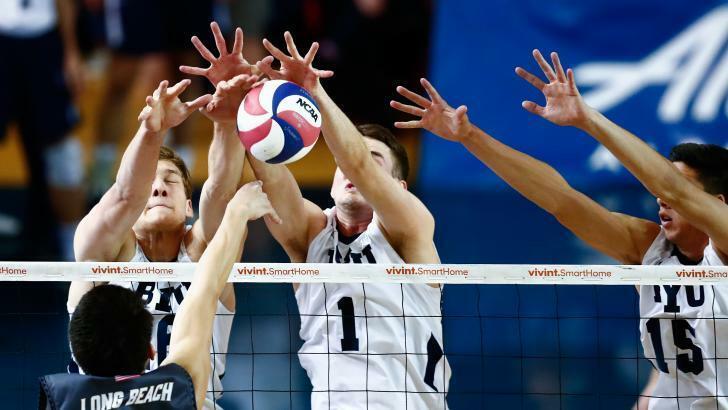 The computers rate Penn State, the top-ranked team in the EIVA, higher than the pollsters do. The Nittany Lions jumped in the latest RPI rankings after beating then-#1 Ohio State last week, a win that didn’t earn them nearly as much credit from the voters. Penn State also cemented its spot atop its conference by beating likely playoff teams Princeton and NJIT on back-to-back nights. While there has been some shakeup from last week’s RPI rankings, the overall picture hasn’t changed. The two wild-card teams are almost certainly still going to come from the MPSF. Whichever team among BYU, Long Beach State, and Hawaii doesn’t win that tournament are the favorites to emerge, though UC Irvine and UCLA have the potential to make a deep tournament run and upset the chalk. If anyone other than Ohio St. won the MIVA tournament, the Buckeyes would still likely get an at-large invite, which would pull one of those at-larges from the MPSF. Each of the 4 Division I-Division II conferences (Conference Carolinas, EIVA, MIVA, MPSF) get an automatic bid, and the other 2 spots in the 6 team tournament are selected as the next-best teams among the whole division.